NHTSA commissioned study finds that women perpetrate two-thirds of all gas pedal accidents. A new government study has found that female drivers cause the majority of gas pedal accidents. Gas pedal accidents are categorized as accidents caused by drivers mistakenly hitting the gas instead of the brake. The study, contracted by the National Highway Traffic Safety Administration, also concluded that most gas pedal accidents tend to involve older female drivers in parking lots. In total, females make up two-thirds of such accidents. On the contrary, the NHTSA reports that when examining all crashes, men make up 60 percent of the drivers involved. In terms of age demographics, women over the age of 76 and under the age of 20 perpetrate the most gas pedal accidents. 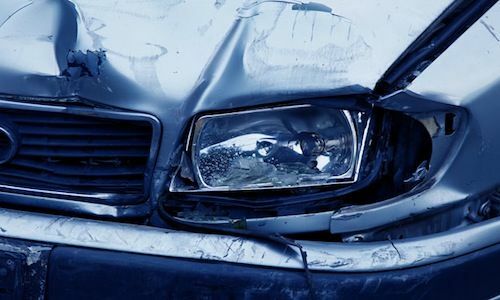 Government researchers indicate that a lack of brain development amongst the elderly and teenage drivers may be accountable for the accident frequency. Specifically, the locations of the brain that support executive functioning (planning, organizing, attention) do not develop until reaching full maturity. For this reason, teenage drivers are not as mentally equipped as more mature drivers. By the same token, elderly drivers experience a significant decrease in executive functioning in their later years. As previously stated, researchers have found that most gas pedal accidents occur in parking lots. Although gas pedal misapplication often occurs on the roadways, drivers have more room and time to recover. Conversely, drivers in parking lots are usually confined to tight spaces and closely situated to other vehicles. Gas pedal accidents aside, elderly drivers face an increased risk of being involved in all types of crashes. Studies specify that age-related driving concerns typically arise when a driver turns 65. The risk of being involved in an accident dramatically increases when the driver reaches 75. In particular, three behavioral factors contribute to the increase in age-related accidents: poor judgment in executing left-hand turns; drifting within traffic lanes; and diminished ability to alter behavior in response to sudden changes. The most famous (or infamous) gas pedal accident was actually caused by a male driver in 2003. An 86-year-old male driver misguidedly stepped on the gas, causing his car to plow through an open-air market in Santa Monica, Calif. The elderly man’s costly mistake resulted in 10 deaths and 63 injuries. TransAnalytics LLC and the Highway Safety Research Center at the University of North Carolina administered the NHTSA study. Researchers utilized studies on gas pedal accidents, national crash causation studies, and interviews with driver rehabilitation specialists. the auto manufactures need to fix this problem there is only 2" between the pedals and there is an extra 8" to move the brake over in automatic transmission vehicles. brake pedals used to be larger also making easier to make good contact with the brake pedal. it is possible to hit both pedals at once they are so close together, and it is impossible to avoid the gas if your foot should slip off of the brake pedal. there is plenty of room to move the brake pedal over. it would seem obvious with the large number of accidents caused by the gas/brake mishap that the design needs to be improved at manufacturing. it is not just the elderly and women making this mistake it is a poor design that can be easily corrected at the factory.I know when I have work boots on it is very hard to hit the brake without hitting the gas, sometimes i barely have room to hit the gas pedal without the brake pedal interfering.